Earlier this morning, I was truly blessed to be able to share a few minutes of praise & worship and prayer, led by high school students, at Cutter Morning Star school. 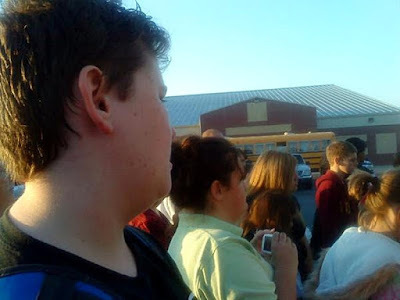 My son, Christian, and I joined with a bunch of other Jesus-followers and seekers for the See You At The Pole rally. As these young members of the Next Gen led us in prayer for our country and for their school, I found myself praying for this Next Gen, that they would set their minds on following the path of God that leads to the joy and strength of His Kingdom.